*Lawyers representing Ferguson, Mo. 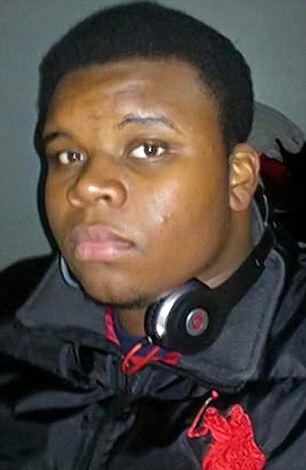 in a wrongful death lawsuit filed by the family of Michael Brown have asked a judge to unseal any of Brown’s juvenile records. The motion, filed June 7 and scheduled to be heard next week, seeks “records concerning prior investigations and dispositions of juvenile court adjudications, informal adjustments, certifications, abuse and neglect investigations, or records of any alleged delinquent acts committed by or pertaining to” Brown, reports the St. Louis Post-Dispatch. Peter Dunne, one of the lawyers representing Ferguson, also represents former police Chief Tom Jackson and Darren Wilson, the former cop who fatally shot Brown on Aug. 9, 2014. A St. Louis County family court judge in September of 2014 rejected an effort by the Post-Dispatch to obtain Brown’s juvenile records after his death. In comments to a Post-Dispatch reporter after a hearing in 2014, Cynthia Harcourt, a lawyer for county juvenile officer Kip Seely, said that Brown had not been found delinquent of the juvenile equivalents of Missouri’s class A and B felonies and had no pending cases of that type when he died. A California-based blogger had claimed that Brown had a pending murder charge when he was killed. That blogger also sought the release of the records. Character assassination? As Bear Bryant said, “It ain’t braggin’ if it’s true”.